Sea Otter exhibition, USA, revealed some new products such as the new SRAM FORCE group and confirmed some others. Most of the following featured products, will be available for 2010. 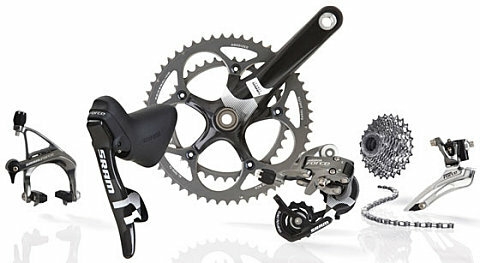 The most attractive new products are coming from FSA, ZIPP, DT SWISS, EASTON, EDGE, INDUSTRY NINE and of course SRAM. TriMax Ultimate will be the highest of the range with its 88mm tubular carbon rims, its Sapim spokes (20/24), its carbon front hub coming with ceramic bearings as standard. For 2000$, you have the wheels coming with Vision Mercury quick releases, wheelbags, valve extensions, swisstop yellow brake pads. All what you need is here, that isn’t negligible. 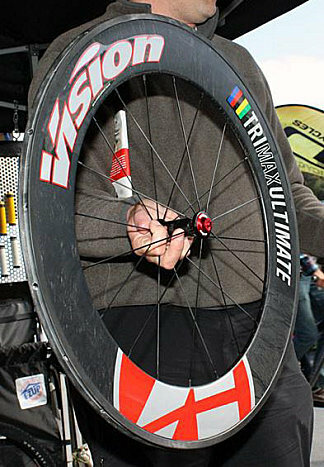 TriMax Carbon has a 50mm deep rim, also for tubulars, also in carbon rim. The hubs are close to the Ultimate but the bearings are steel instead of hybrid ceramic and the front hub isn’t in carbon. Claimed weight is 1420g. 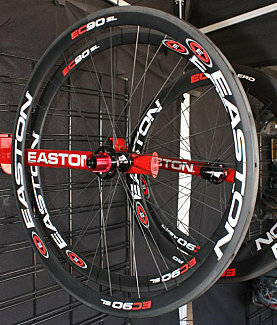 The wheelset costs around 1600$. Which includes quick releases, bags, valves extensions and pads. 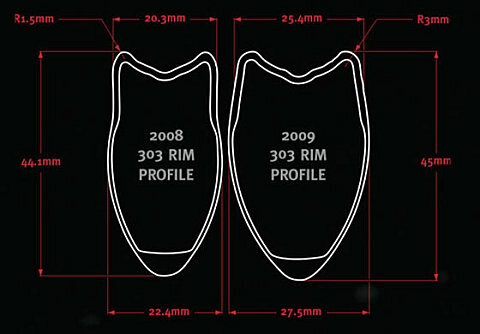 The TriMax Pro is coming with a 30mm alloy deep rim for clinchers and will be mostly be aiming for training. 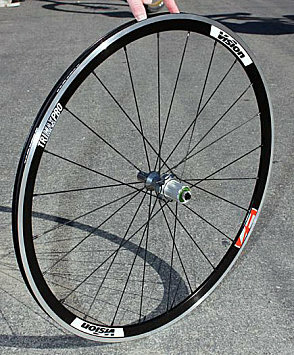 Its price is $650, it includes quick releases and rim tape. 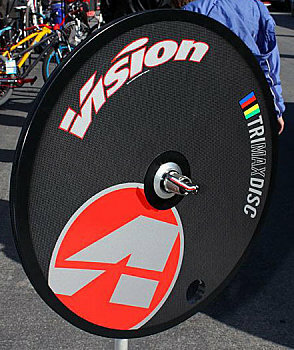 To complete the range, a TriMax Disc will be available. Free hub body can be changed. Claimed weight is 1280g and its price is 1700$ including a carbon quick releases. The american manufacturer presents on his land which will be the newest SRAM Force groupset. This new groupset enters the sub-2kg family as its big brother Red. 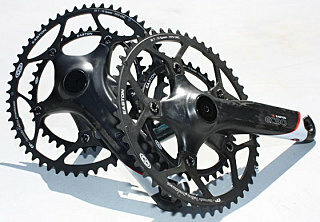 The main benefit comes from the BB30 Force crankset. With only 645g including BB, this new crankset is 140g lighter than the GXP standard, which is very important. Visually, the Force is coming with a very nice « zephyr silver ». Here, no red, there is only white, black and silver. The rest of the groupset remains unchanged. New Force groupset will be available in June or July for $1399 in GXP version and $1439 in BB30. Cable set is new. 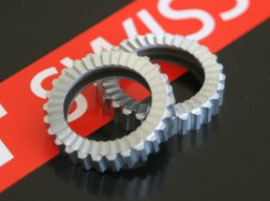 It’s named « SRAM Professional System by Gore ». Cable routing is in a liner for extra smoothness, quicker shifting and easier installation. 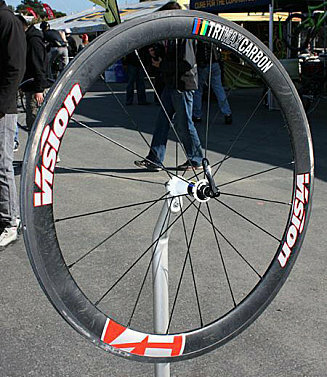 Swiss brand was present in America to introduce its new range of carbon wheel. More details here. Besides this new road and MTB range, DT SWISS worked on two new « ratchets » with 36 « teeth » instead of 18, which allows a faster engagement. 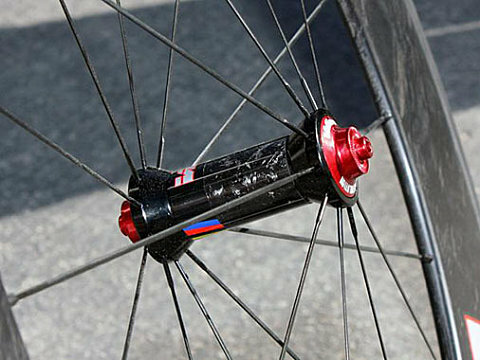 However, DT SWISS isn’t sure on the hub to use it. Indeed the higher engagement positions increases the freewheel friction. Compromise, compromise ! avec les nouveaux moyeux R4SL, des rayons Sapim et des roulements hybrides. weight : 1230g with new R4SL hubs, sapim spokes and ceramic bearings. 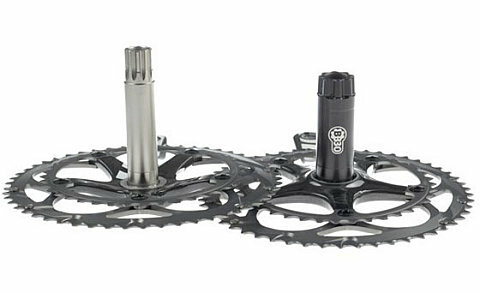 Besides, the Easton crankset is now available in compact 34/50T and a 38/46 for cyclo-cross. Young Edge Composites brand is going to offer light components. A stem and a seatpost are going to be released. 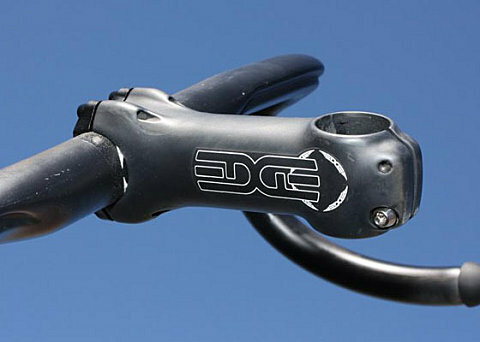 The new stem only weights 113g in 100mm thanks to a carbon structure and aluminium inserts. Production should start early in June. 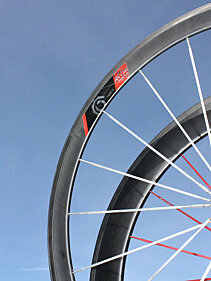 The brand renews its wheels range with rims coming from Edge Composites. Spokes and hubs are made in aluminium anodized hubs home made. 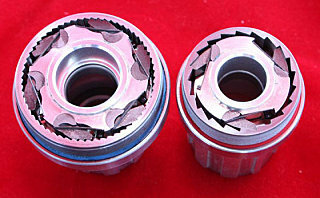 For these wheels, I9 developed two different rotors with two different engagements : the first engages very quickly thanks to its high number of pawl (Left). 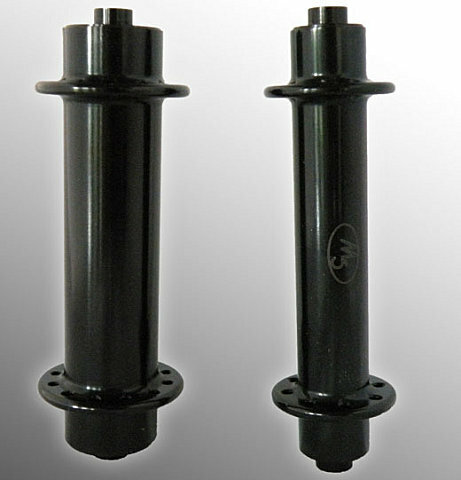 The other one has a lower friction but a slower engagement (Right).